Ya'll are as obsessed with Warby Parker's advertising as I am, right? So great. I want to LIVE the Warby lifestyle. Unfortunately, I think I've come to the conclusion through their Warby Parker Home Try-On Program that so-called "Nerd Glasses" are not for me. Their Home Try-On program is sheer genius, though, and really takes the guess-work out of choosing glasses online. It's simple: you choose 5 pair you want to try on, and they send you the frames in the mail. You have 5 days to try them out, then you use the pre-paid return label to pop them back in the mail at the UPS station. Easy and did I mention free? So much fun. So of course I simply HAD to take them up on this offer and try them out (yes, even though I just bought new glasses!). I mean, it's Warby Parker, you guys! PS> I was compensated by Warby Parker for this post, though the opinion and words are entirely my own. These are affiliate links. The Webb and Nedwin were atrocious on me, so I'm not even going to show you those. The Holcomb is cute for a fun pair, but not something I would be likely to wear everyday. I loved the classic tortoise half-rims with a bit of a cat-eye though. Such a cute shape. Now, on to some fun big sunglasses. 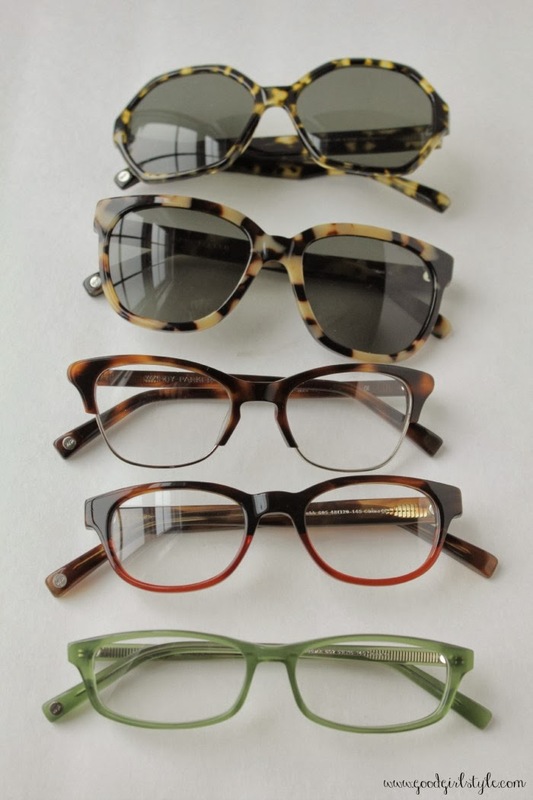 We all know how much I love me some big sunglasses.The Reilly in Marzipan Tortoise was a simply gorgeous pair of sunglasses, but not my favorite for my face shape. Now, though, the Mable did not disappoint. I adore the traditional tortoise and the octagonal shape. Classy, fun, bit of a vintage vibe. Sunglasses perfection! 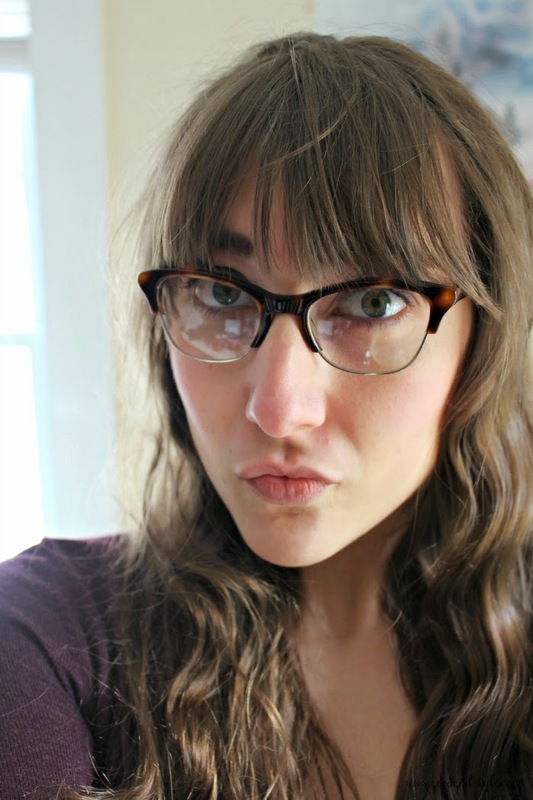 Overall, the Warby Parker big sunglasses definitely won out in my book over any of the "nerd glasses." I think very heavy glasses overwhelm my features and are a bit heavy for me. This Home Try-On program was well worth it though, and while it does require a credit card "just in case," they don't charge anything up front and the entire process is free. Head on over to WarbyParker.com and get a box of beautiful glasses sent to your house. I'm pretty sure you'll find at least one you love!